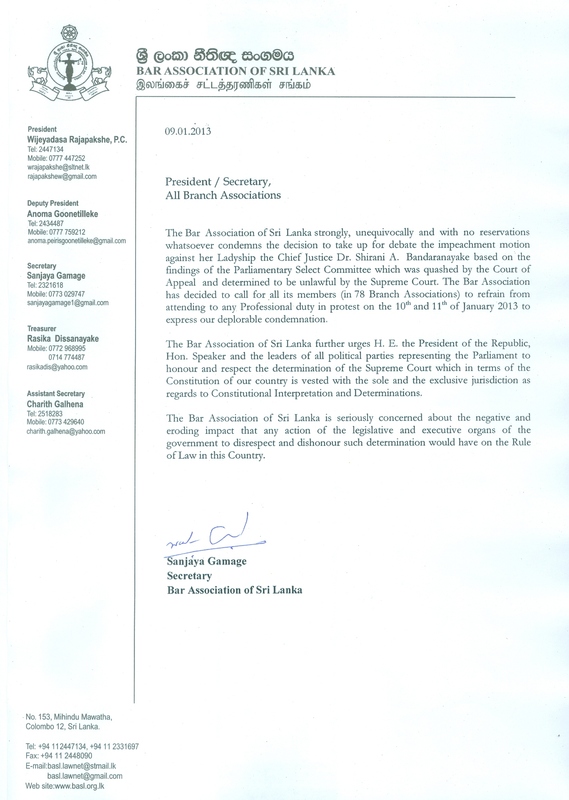 The SLB have taken action to protect the LCJ from unconstitutional efforts to impeach her by Parliament. The Courts of Sri Lanka including the Supreme Court have ruled the unlawfulness of Parliament against the most senior Judge in the land. To read the statement issued by SLB, please click here.